I wanted to find something new for the Thanksgiving table – something for the grandkids. 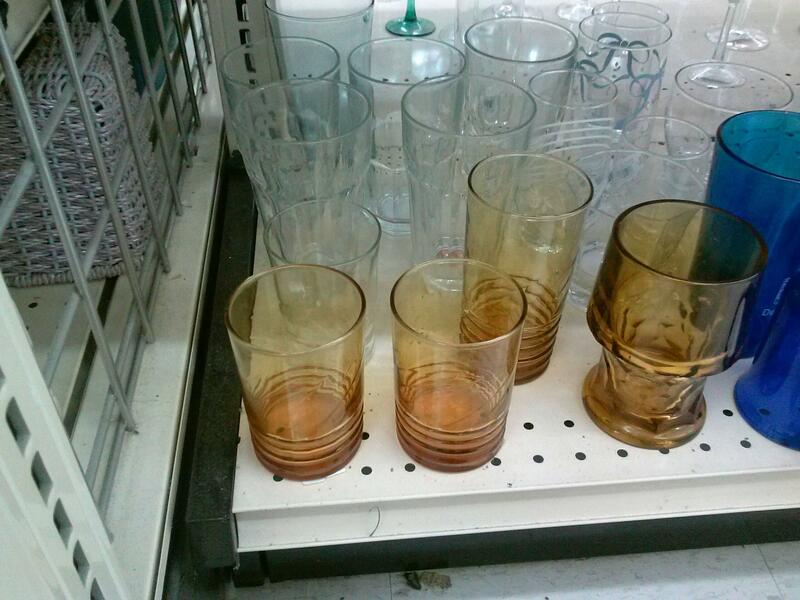 So, I headed to arc Thrift Store in Loveland. 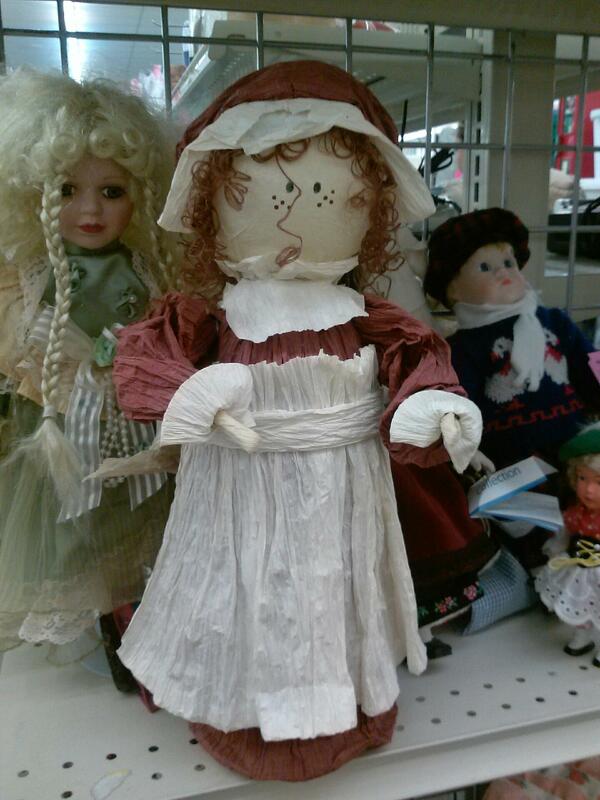 First I found the “pilgrim doll.” What a perfect centerpiece for the kids! I had seen some tea light candle holders in a magazine with frosted edging and wanted to try to make some for the holidays. The amber glasses would be perfect for what I had in mind. 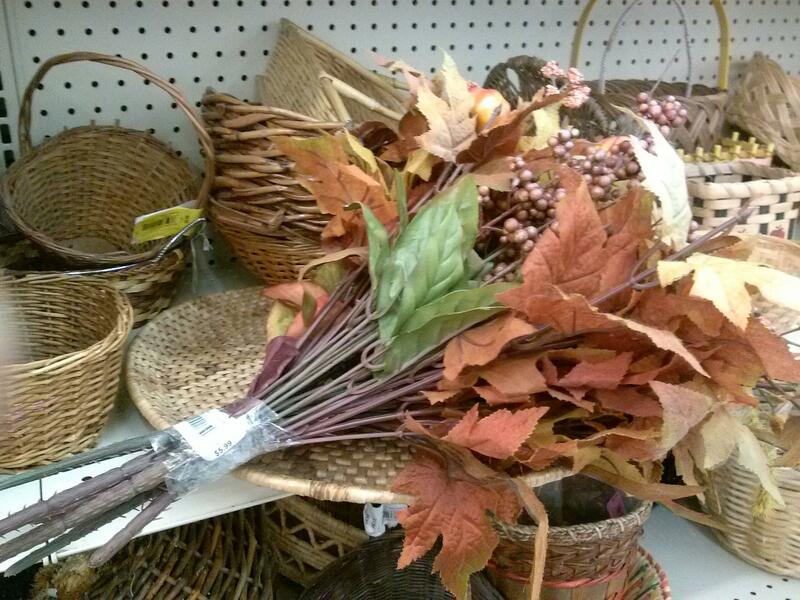 arc had a very large selection of wicker baskets and I found the piece I needed along with the fall floral items for the final touch. All of this for $24.61. 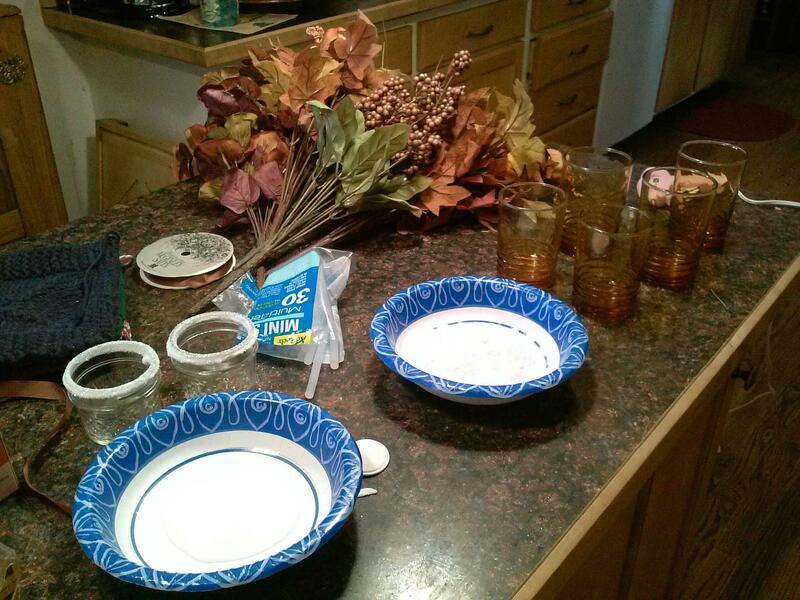 What you’ll need for the candleholders: double-faced tape, glue gun, diamond dust, Modpodge, assorted glasses (canning and jelly jars also work well), ribbon and battery-operated tea lights. 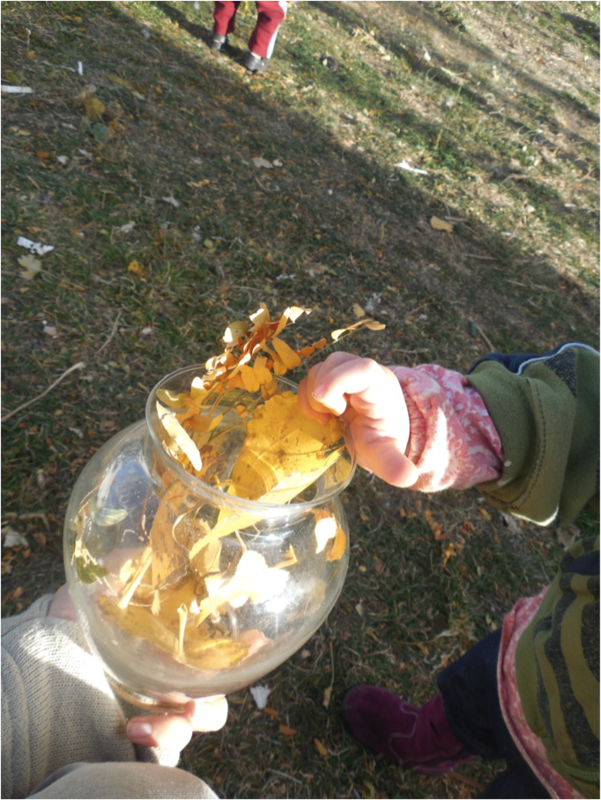 Pour the Mod Podge into a bowl to the depth of about ½ inch. Put a generous amount of diamond dust into a second bowl and push to the center to create a mound. Dip the top of the glass into the Mod Podge and then into the diamond dust. After the first one, I realized that it wasn’t a good idea to let the top of the glass touch the bottom of the diamond dust bowl. By creating a mound, you can swirl the glass around until enough diamond dust sticks to the glass. Let the glass dry – about 20 to 30 minutes. If you want, you can repeat the process to create a thicker “snow” edge on the glass. After the glass dries, put double-faced tape around the glass where you want the ribbon to be. I found that the ends of the ribbon required extra adhesive so I used the hot glue gun to apply glue on the ends of the ribbon. When determining where you will be placing the ribbon, leave enough space from the bottom ribbon edge and the bottom of the glass as about ¾” of diamond dust is poured into the glass. We want the diamond dust to show through. 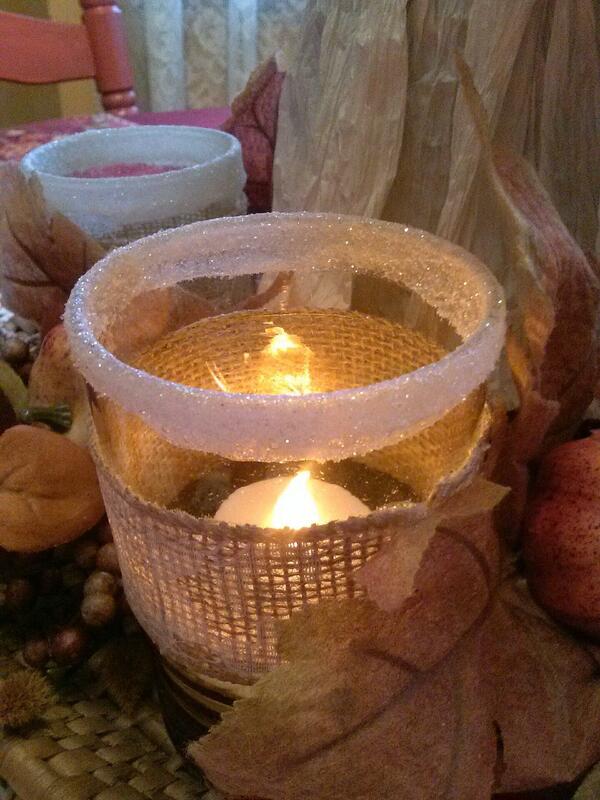 Place the battery-operated tea light inside the glass on top of the diamond dust. Caution: do not use candles. It is not safe with the diamond dust. 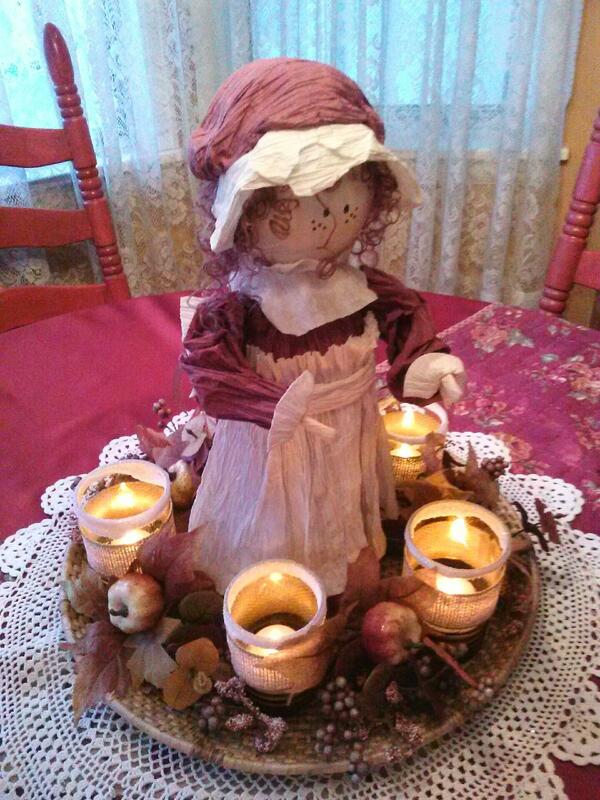 Final step – arrange the candle holders and fall floral pieces around the base of the doll. And, there you have it – a new centerpiece already for Thanksgiving dinner! The shelves at arc Thrift Stores are filled with holiday items that you can use “as is” or let your imagination loose and design your very own creation. Can’t wait to get back to check out all of the Christmas possibilities. It is that season, you know, the season of pumpkins, travel, and good times with family and holiday guests. 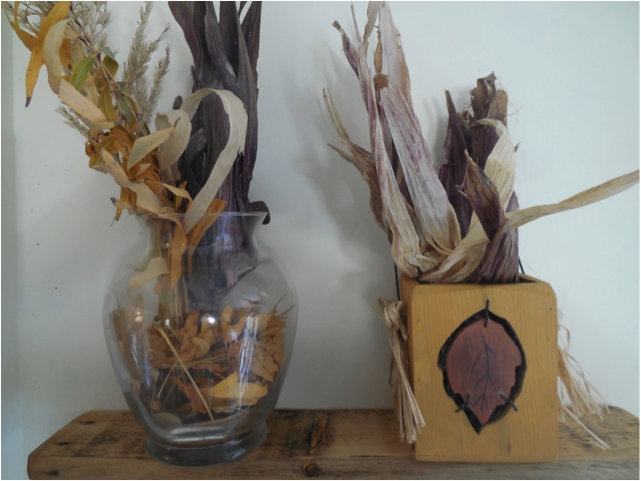 Why not bring a little of that seasonal fun into the house. 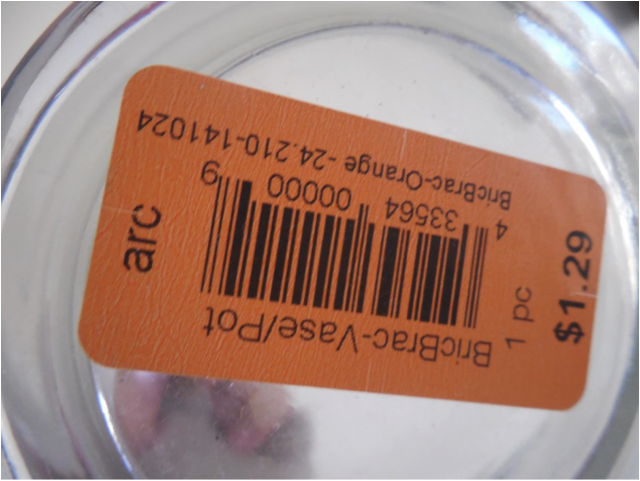 I know that most people don’t have the budget to go out and buy new interior decorating items for each holiday, but if you take a visit to Arc you can update and create charm for less than $25. At least this is what I found out last Saturday. 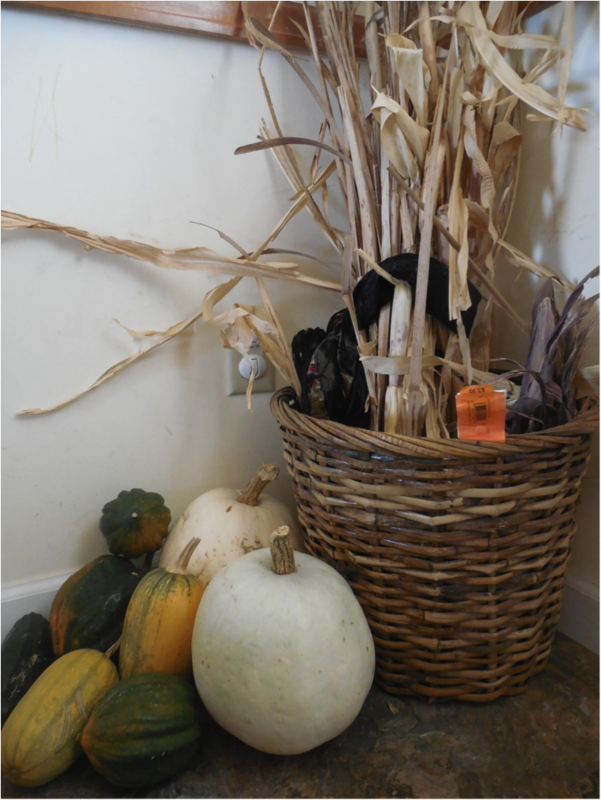 I have been trying to reorganize my tiny entryway and at the same time give it a little thanksgiving/fall spirit (Thanksgiving is my second favorite holiday, Halloween being the first). The first thing on my list was some sort of organization center or key hanger for things like mail, sunglasses, keys, etc. I found a few things that were a bit impractical, though would have been fun in another space. 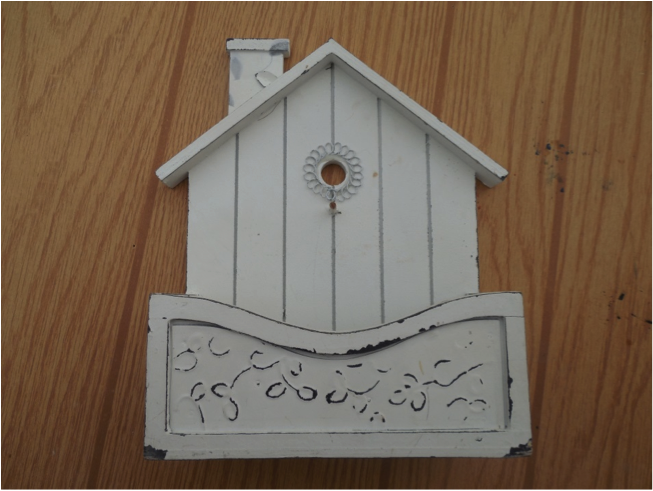 Then I came across this shabby chic style, birdhouse mail holder. It was white which didn’t support my fall theme, but hey I could paint it. That is what is great about Arc, it is like a hobbyist’s dream come true. If I had found that at a department store I would have shied away from it because of a higher price tag and because a I wouldn’t want to ruin something I paid big bucks for. 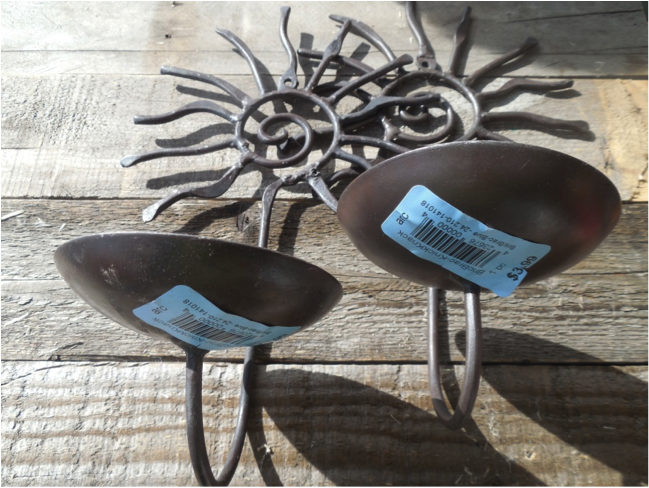 I then came across some wall candle holders that featured a solar design. 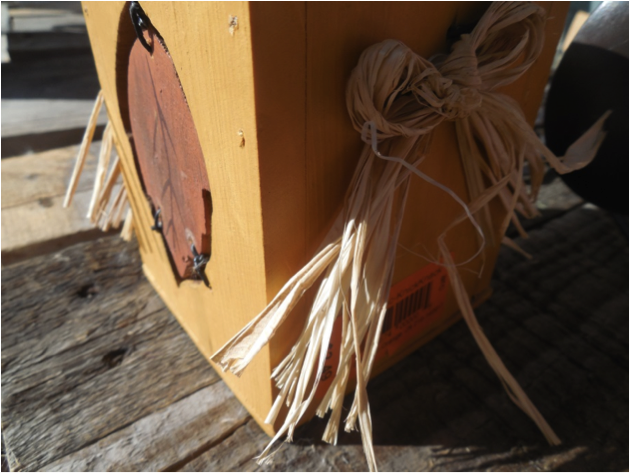 At first I thought it didn’t quite fit the theme, but then I realized I could find some orange and fall themed candles to tie them in, and that they would also work with other seasons because I could change the candles out. Plus, this is harvest season; a time when the colors mirror that of the sun’s evening rays. 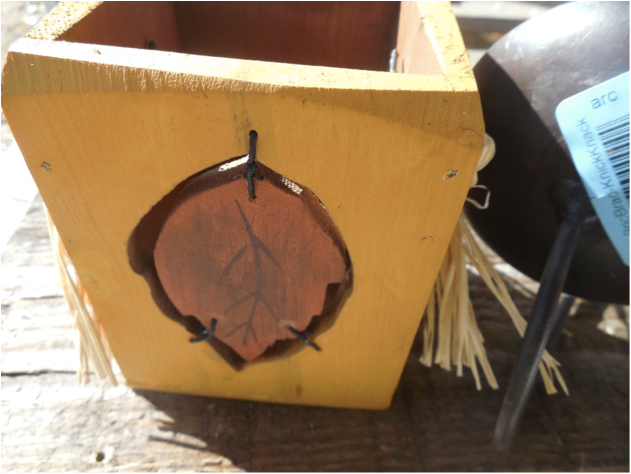 Next I grabbed a clear vase that I knew I could fill with fall leaves and then looked around and found a great little wooden box with a leaf cutout. These would be perfect sitting on a shelf in the entryway and could hold seasonal flowers and foliage. 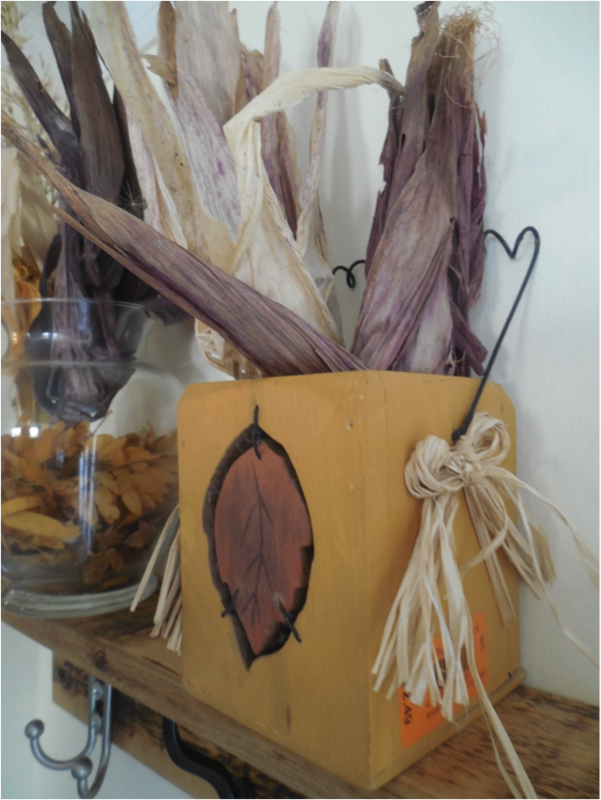 I knew Arc has a great selection of baskets, and I wanted something I could display the corn stalks from my garden and cattails from the creek down the road. This was my last find. 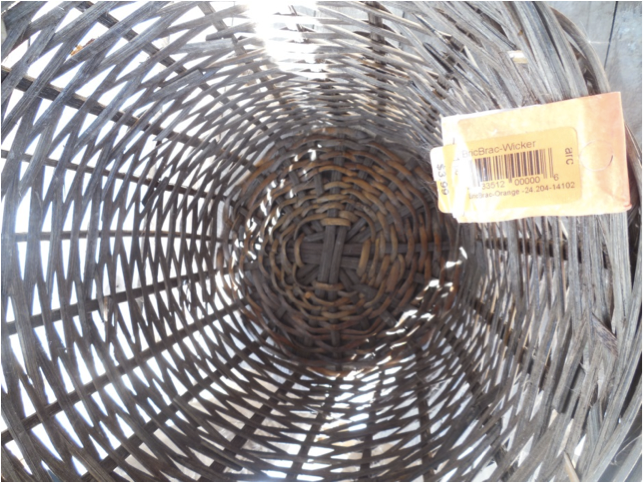 At other stores, baskets come with a hefty price but at the arc I could find them for under $10. So I picked one out that would fit in the corner and then headed to the counter to make my purchases. 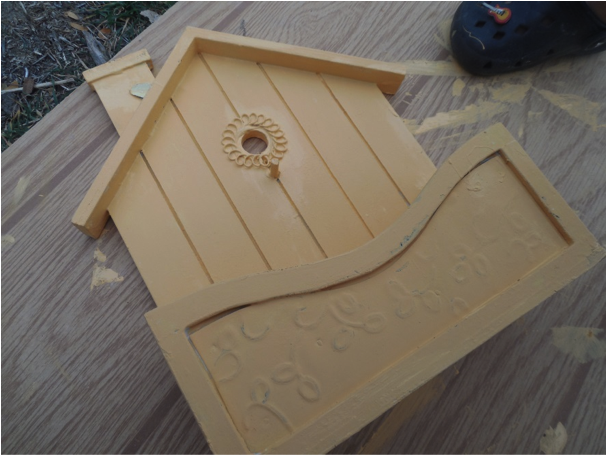 The next day my kiddos assisted me in painting the birdhouse and, when it was dry, I set everything up. 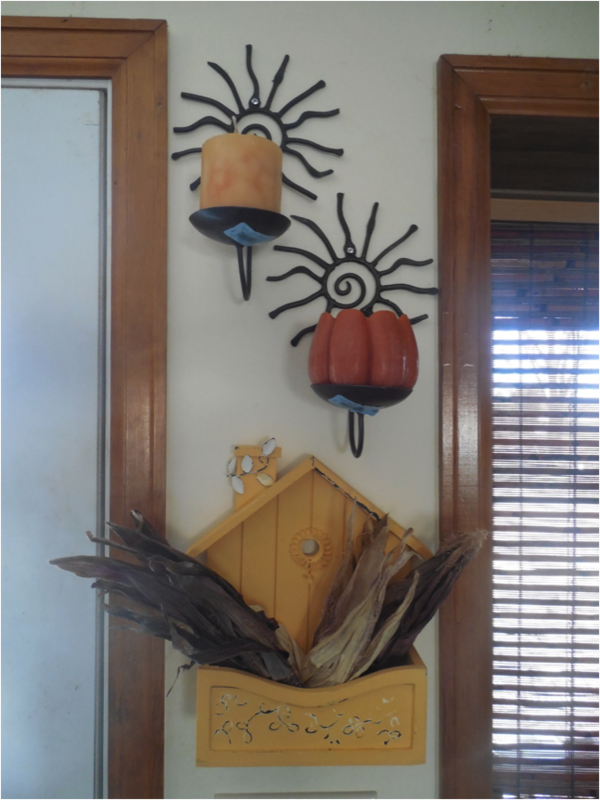 I hung the candle holders and then placed in the great candles that I had found at the arc. I spent around $22 for the whole project.